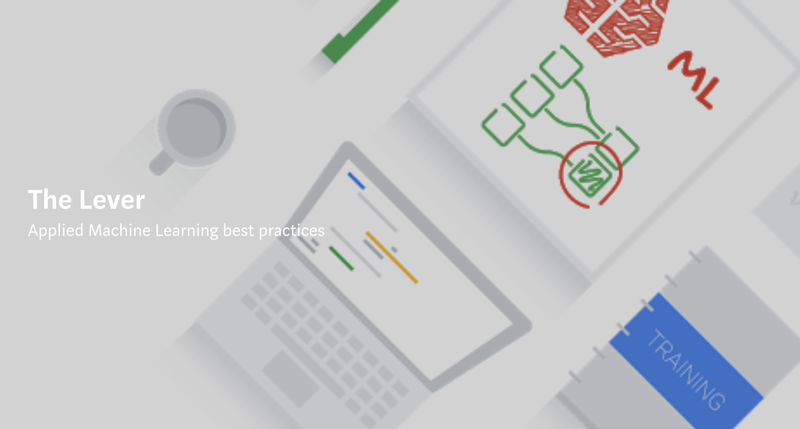 The Lever is Google Developers Launchpad's new resource for sharing applied-Machine Learning (ML) content to help startups innovate and thrive. In partnership with experts and leaders across Google and Alphabet, The Lever is operated by Launchpad, Google's global startup acceleration program. The Lever will publish the Launchpad community's experiences of integrating ML into products, and will include case studies, insights from mentors, and best practices from both Google and global thought leaders. Peter Norvig (Google ML Research, Director): "The software industry has had 50 years to perfect a methodology of software development. In Machine Learning, we've only had a few years, so companies need to pay more attention to the process in order to create products that are reliable, up-to-date, have good accuracy, and are respectful of their customers' private data." Cassie Kozyrkov (Chief Decision Scientist, Google Cloud): "We live in exciting times where the contributions of researchers have finally made it possible for non-experts to do amazing things with Artificial Intelligence. Now that anyone can stand on the shoulders of giants, process-oriented avenues of inquiry around how to best apply ML are coming to the forefront. Among these is decision intelligence engineering: a new approach to ML, focusing on how to discover opportunities and build towards safe, effective, and reliable solutions. The world is poised to make data more useful than ever before!" Clemens Mewald (Lead, Machine Learning X and TensorFlow X): "ML/AI has had a profound impact in many areas, but I would argue that we're still very early in this journey. Many applications of ML are incremental improvements on existing features and products. Video recommendations are more relevant, ads have become more targeted and personalized. However, as Sundar said, AI is more profound than electricity (or fire). Electricity enabled modern technology, computing, and the internet. What new products will be enabled by ML/AI? I am convinced that the right ML product methodologies will help lead the way to magical products that have previously been unthinkable." We invite you to follow the publication, and actively comment on our blog posts to share your own experience and insights.